Beam has more meaning than the sci-fi transporter or lights as Sonos has a different ball game for the name, Beam is for the versatile smart speaker for the living room, delivering incredible sound for virtually any streaming content. Providing a simple, rich sound experience from movies and TV shows to music and podcasts, Beam supports 80+ music services, Amazon Alexa and Apple AirPlay 2. Like all Sonos speakers, Beam is part of the Sonos home sound system, meaning owners have options like adding two Sonos Ones for surround sound, a SUB for more bass or integrating Beam into their existing Sonos multi-room set-ups. Owners can also control Beam the way they choose, whether it be with voice, the Sonos app, third-party apps like Spotify, Audible, Pandora and Tidal, their existing TV remotes, and smart home gadgets like wall switches and remotes made by Sonos-certified partners. Out of the box, Beam comes with Amazon Alexa in the US, UK, Germany, Canada, Australia, New Zealand and soon, in France. Beam will support additional voice assistants as they become available on Sonos around the world and won’t lock owners into specific streaming boxes or services. Sonos Beam was tuned by a team of world-class acoustic engineers collaborating with leading sound experts from the worlds of film, music and television. The result is a product that faithfully represents the artists’ work and delivers an unparalleled listening experience. Beam produces a surprisingly wide soundstage for a speaker of this size, with four custom-built elliptical full-range woofers and three passive radiators delivering deep, warm bass and superior mid-range performance, while a single tweeter ensures crisp and clear dialogue. 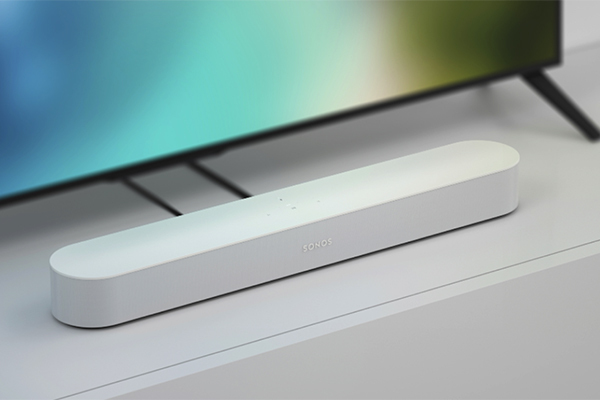 Some exciting features of the Sonos Beam are its low profile and compact size. Beam was designed to fit on credenzas or under a wall mounted TVs, providing versatility. 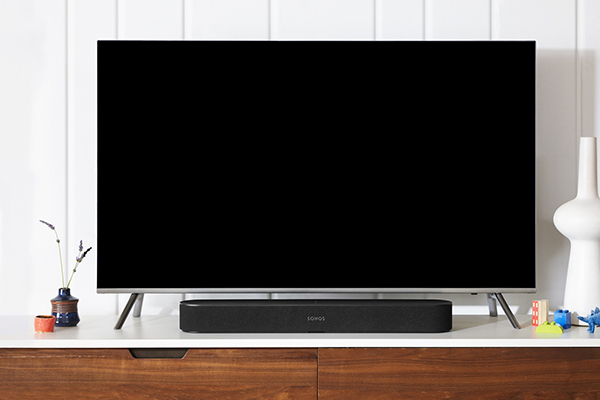 At only 25.6 inches long, Sonos Beam won’t hang off furniture, block the TV or overwhelm your space. 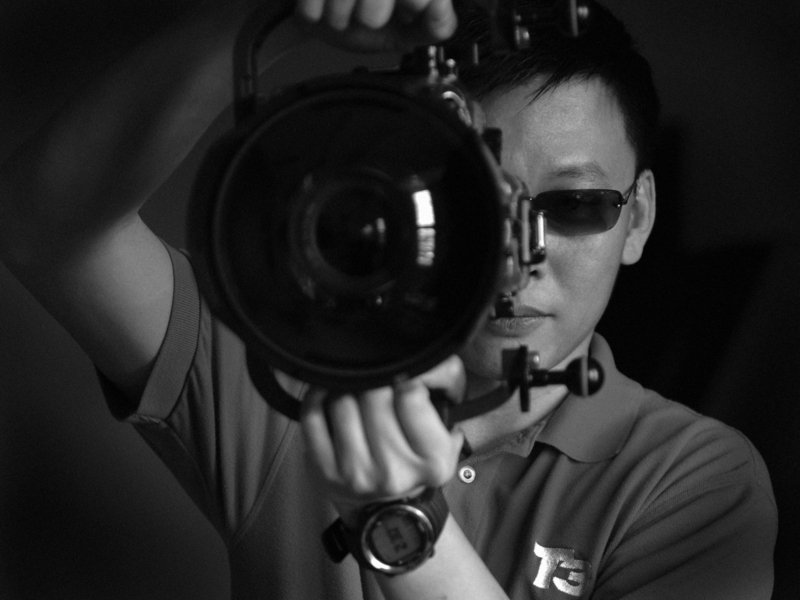 It has Five linear far-field microphone array used for advanced noise suppression and multi-channel echo cancellation for both music and home theatre content. Three ports are visible the back of the BEAM, power, ethernet, and HDMI-ARC. Use the HDMI cable to connect Beam to the TV’s HDMI-ARC port. If your TV doesn’t support HDMI-ARC, use the included Optical Audio Adapter to connect Beam to the TV’s optical audio port. Adding an Amazon video streaming device like Fire TV unlocks voice control for Alexa-enabled streaming services. Ask for a specific movie or show, get more info about a favourite movie director or control playback, all with voice. 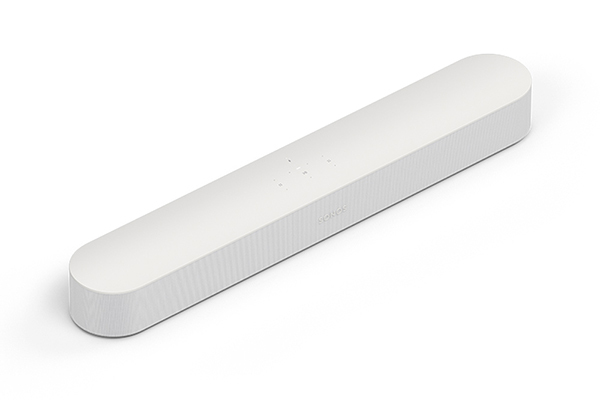 Sonos Beam comes in black and white fabric with matte finishes. AirPlay 2 is also available on Sonos in via a free software update. With AirPlay 2, can play music and podcasts from their iOS devices directly on their Sonos speakers, including the new Sonos Beam, Sonos One, Playbase, and the second generation Play:5. 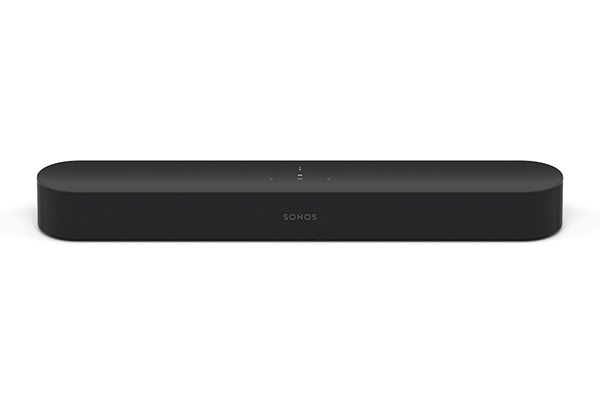 With a single supported speaker, AirPlay content can be streamed to other Sonos speakers in the system. Customers also gain a new voice experience with the addition of Siri to start a track from Apple Music and play in any room on Sonos. Previous: U Mobile’s All-New Postpaid Unlimited Hero P139 packs in Unlimited High-Speed Data and Free Data to roam across the Globe!